Elvis DaCosta is a reggae singer of Jamaican origins. He grew up in Essex and went with school with Divine Comedy tour manager to be Dean Kennedy. After playing with different bands of different styles (Higher Tone, Elixia, and The Screaming Abdabs where he succeeded to Alison Moyet), Elvis and Dean finally set up together their own band Elvis DaCosta And The Imposter with former members of Dr. Feelgood (Gypie Mayo and Dave Bronze). In the nineties they released several singles in Jamaica. In 1996, Elvis was introduced to Neil Hannon and performed with him a cover of ‘Make It Easy On Yourself’ on several occasions. In 1997, Neil was then asked to sing for Elvis’ single Need Your Love So Bad which was released on Dean’s Redbridge Records. The production of the single also involved several people who used to work with The Divine Comedy at the time: Jon Jacobs on production, arrangements by Joby Talbot, and CD artwork designed by Rob Crane. However, we do not know if Neil Hannon’s vocals were really recorded in Jamaica or actually in UK. The single is said to have topped the Jamaican charts at the time . After several productions in Jamaica, Elvis returned to London and joined Jam Roll. 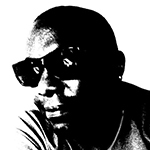 Then, in 2002, he formed with Dean Kennedy and Mikey Melody a new band called The Full One Hundread which featured former members of The Imposters as well as Stuart Bates, Rob Farrer and Miggy Barradas. The band played several shows including a support set to Manu Chao at the Brixton Academy. 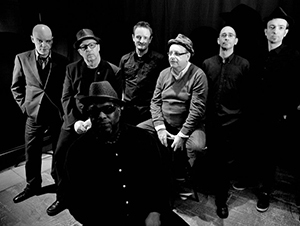 More recently Elvis DaCosta has set up a new band, the Rocksteady Steppers, with Seamus Beaghen, Dave Bronze, Paul Garner, Dean Kennedy, Rob Farrer and Miggy Barradas. They often play around Canvey Island.